If ever there was a song I would have ascribed to that great composer named Traditional, it would be this country blues classic. But it turns out that the song's origins are better known than is often the case with folk standards. It is credited to Walter Vinson and Lonnie Chatmon of the Mississippi Sheiks, a very popular and influential string band of the 1930's. The Sheiks' recording career only lasted a few years and Sitting on Top of the World was among the first and most popular of their releases. They recorded it in 1930 for the Okeh label and it was a huge hit, spawning not only many covers, but also some copy-cats (no less than Robert Johnson's Come On In My Kitchen seems to qualify for that dubious distinction). 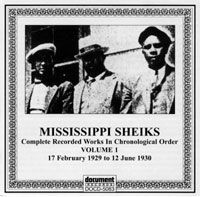 Here's a clip of the Mississippi Sheiks' 1930 recording that started it all. 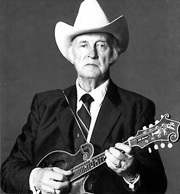 Among those who helped popularize the song were Milton Brown and Bob Wills, two prominent bandleaders who competed for the crowning title, The KIng of Western Swing in that tradition's formative years. (Not that the dispute ever got resolved!) Both recorded Sitting On Top early on and it endures as a standard within that genre to this day. 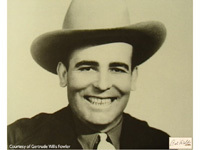 Here's a clip of Bob Wills and the Texas Playboys from one of several recordings they made of the song. 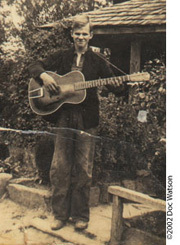 Although the uninitiated might refer to Doc Watson as a Bluegrass musician on account of his flatpicking skill, he has never to my knowledge been associated with a bluegrass band. His music certainly shares the same mountain music roots, but over the years his branches have stretched out toward the many sources of light that attract him. His was the first version of this song I ever heard and it is still among my very favorites. He plays it fingerstyle in open D. Really well. This song's long, strange trip is clearly not over, but our survey has to end somewhere, so we'll go out with the Grateful Dead. Sitting On Top was in their active repertoire from at least the mid-60's through the early 1970's. This clip is from a 1969 concert at Veteran's Stadium and the boys are letting the good times roll.